RPM Satcom Antenna, Pedestal, Trailer and Feed. 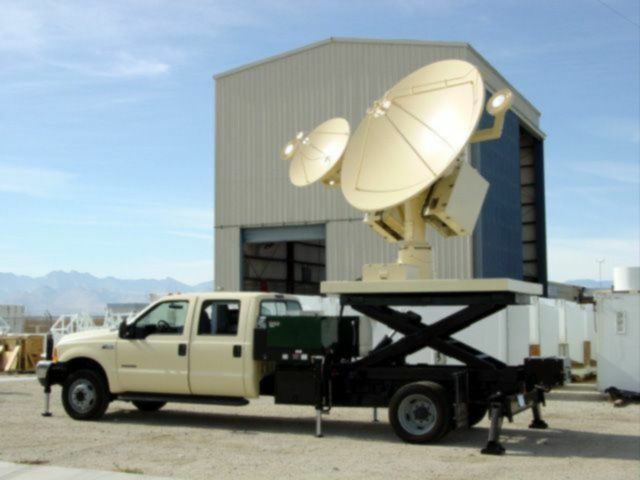 Antenna Positioner, Controller and Trailer supplied by RPM for CW Doppler Radar. Antenna Positioner for MQ-1B Predator and MQ-9 Reaper Ground Data Terminal supplied by RPM. Open Yoke Elevation over Azimuth Antenna Positioning System supplied by RPM for a shipboard military radar application. 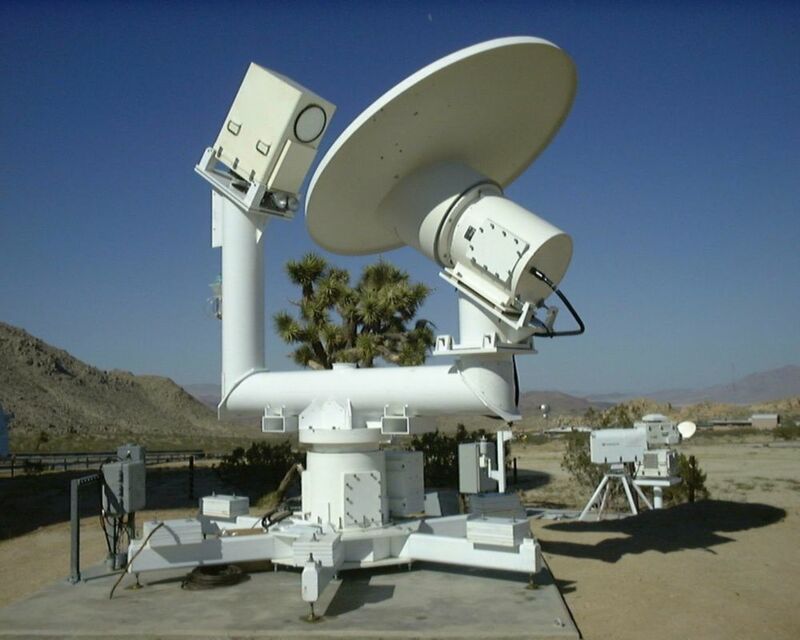 Elevation/Azimuth Pedestal for S-Band Precision Range Radar located at the Naval Air Weapons Center in China Lake, California. Elevation over Azimuth Antenna Pedestal for a X-Band Precision Range Radar located at the Naval Air Weapons Center in China Lake, California. Elevation over Azimuth Antenna Positioner for Weather Radar System. Azimuth Rotator base with feed rotator attached used for a water vapor radiometer. Direct Drive Pedestal with built in tripod used in tactical environments to automatically land UAV's. Established in 1975 as a privately-held small business, Rotating Precision Mechanisms Inc. has since become regarded by commercial, government, military, and scientific communities as one of the world’s pre-eminent suppliers of high-precision antenna positioning systems and components for a vast array of antenna, optical and sensor systems. RPM’s expertise lies in providing complete, high quality, single or multi-axis positioning systems and controls, in a timely and cost-effective manner. Our products have been used around the globe for both civilian and military applications including Telemetry, Military Radar, Air Traffic Control, Satellite Communications, UAV Data Links, Test and Instrumentation, and Astronomy. 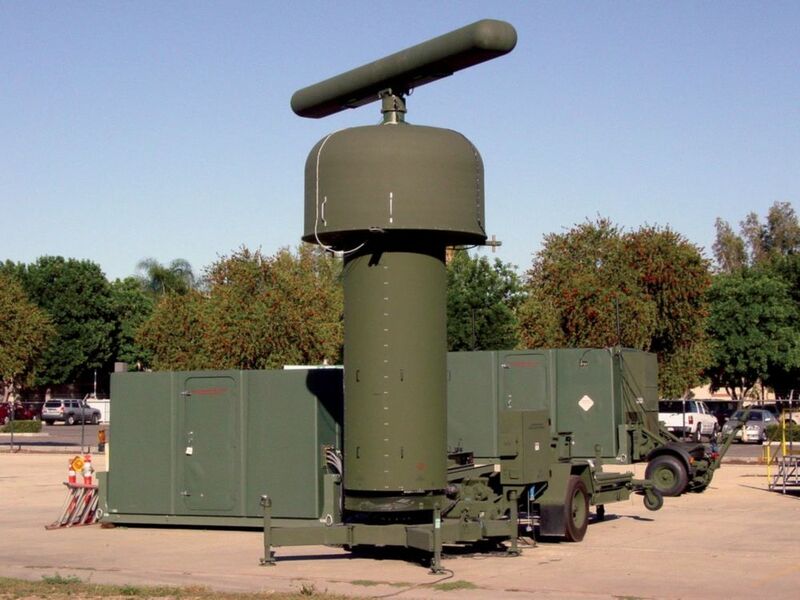 RPM is an Original Equipment Manufacturer (OEM), whose broad range of Antenna Positioners include designs for every platform, including ground fixed, mobile (vehicle/trailer mounted), man-transportable, shipboard, and airborne applications. Since inception, Rotating Precision Mechanisms Inc. (RPM) has produced over 3000 Antenna Positioners, and has grown into a company that today averages approximately $20 million per year in sales. Our commitment to performance, quality, and customer service has allowed RPM to assemble a large database of faithful customers. RPM maintains a quality assurance program in compliance with AS9100, and is an approved vendor by DCMAO, the FAA, and many large prime contractors. RPM is incorporated as a Woman-Owned Small Business (WOSB) and maintains business practices and accounting methodology consistent with the requirements of FAR. Rotating Precision Mechanisms Inc. was founded in 1975 by a team of engineers with an entrepreneurial spirit, and a wealth of experience in designing high-precision antenna positioning systems and controls. Today, we are proud to continue in that tradition, and have assembled a core staff of highly trained engineers with over 300 man-years of combined experience in the design of rugged, high-precision antenna positioning systems and the controls thereof. 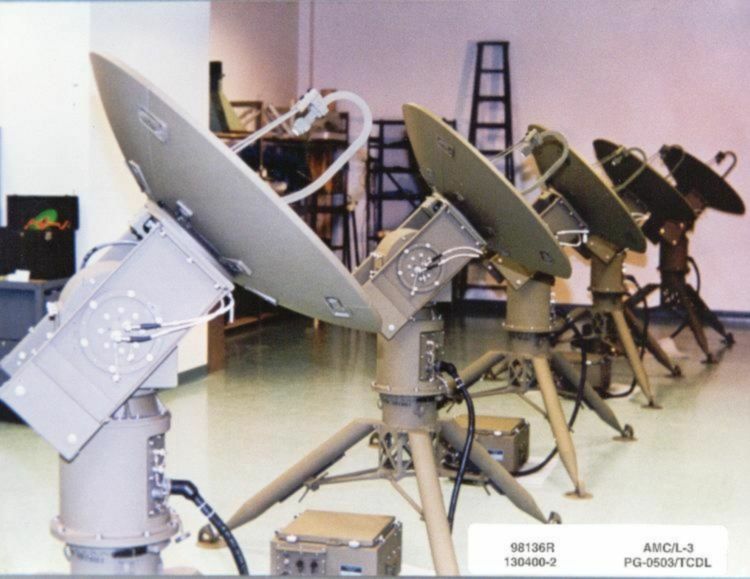 In addition to providing custom solutions for new customer requirements, RPM has a complete array of over 500 standard Commercial Off The Shelf (COTS) and Non-Developmental Items (NDI) for commercial, scientific and military applications. Our modular approach to hardware often makes adapting these existing designs to new requirements possible. This reduces development time and cost, while assuring high quality Pedestals by building on proven components. RPM engineers have access to the latest computer design tools including AutoCAD®, SolidWorks®, SolidWorks® Simulation, OrCAD®, Multisim®, Lab Windows® (Instrumentation), and SURFCAM® to develop, analyze, refine, manufacture, and test each design concept. These computer tools enable RPM to perform structure and vibration analysis of pedestal components, and to predict pedestal performance with specific payload configurations. RPM has also developed many proprietary analytical routines for analysis of a system's performance.